Welcome To The Beautiful Neighbourhood Of Clearview. 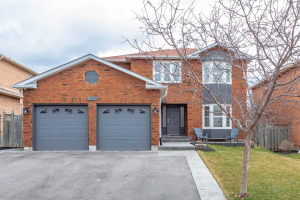 Just Off Ford Drive And The Qew ,This Stunning 4 Bedroom Is A Model Example Of A Tastefully Upgraded Move In Ready Home. Bright And Spacious This Sycamore Model Has Been Cared For And Maintained. New Roof, New Windows And In Excellent Overall Condition. Large Master Bedroom With A Sitting Room Just Outside Really Offers A Private Retreat. Priced To Sell This One Will Not Last Long.